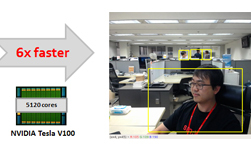 Researchers at SK Telecom developed a new method that uses the NVIDIA TensorRT high-performance deep learning inference engine to accelerate deep learning-based object detection. The method can be used on a variety of projects including monitoring patients in hospitals or nursing homes, performing in-depth player analysis in sports, to helping law enforcement find lost or abducted children. The method, first presented at the GPU Technology Conference in San Jose this year, focuses on increasing the accuracy of human detection and maximizing throughput for real-time inference applications. Their TensorRT integration resulted in a whopping 6x increase in performance. 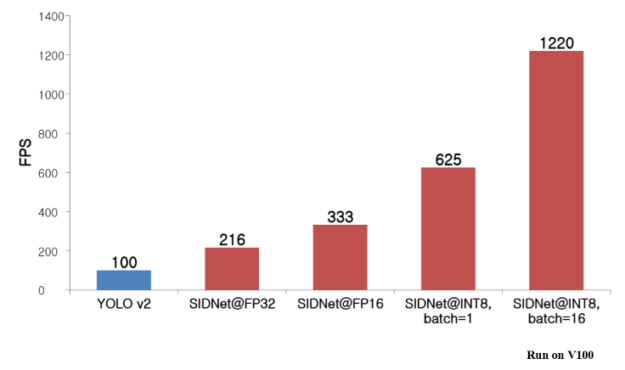 Inference time for YOLO-v2 and SIDNet with FP32 / FP16 / INT8 mode, all experiments are conducted on NVIDIA Tesla V100. “TensorRT enables strong inference acceleration while minimizing accuracy loss to just 1% when using INT8. 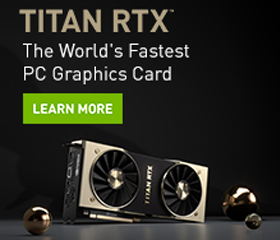 The added performance over the already excellent YOLO-v2 suggests further improvement will be possible as NVIDIA improves TensorRT,” An said. A technical blog was published today on NVIDIA’s Developer Blog. The team also performed inference time tests with various batch sizes and described them in the post.